DM cardiology is a super speciality. Many students after passing MD Medicine opt for this great branch. Technically it is challenging and many students accept the challenges of Cardiology. It has got a good number of Seats in India.MD Medicine candidates are eligible but actual information can be got from NBE Site. Students appearing for NEET DM Cardiology need not get confused. What is needed is a proper syllabus and a plan. Congenital Heart Diseases, Paediatric heart diseases, Valvular Heart diseases Mitral stenosis, Tricuspid regurgitation, Aortic stenosis, Aortic regurgitation Drugs like GPIIb/IIIa inhibitors, Newer agents like Abciximab, Tirofiban, Eptifibatide, Ximelagratan, Apixaban, Betrixaban, Edoxaban, Protamine. Our experts are noticing the latest questions in DM Papers from Heart diseases like ASD, VSD, TOF, TGA, Tumor of the heart, Rhabdomyoma, Rhabdomyosarcoma, Myxomas. Questions based on Antiarrhythmic drugs, Drugs used in Heart Failure, Hypertension are asked. This includes the introduction of new drugs as well. Questions based on Tall T wave, Delta wave, U wave, QT Prolongation syndromes, Q wave have been recently asked. We have taken note of the latest questions asked from frequently asked/ high yield topics. We provide the best possible exams covering these topics. This provides NEET DM aspirants an opportunity to prepare and fare better for their exams. What is recommended for a DM Cardiology student is to keep touch with his books, Prepare and Practise as many MCQs as possible. This will greatly boost their chances in DM exams. 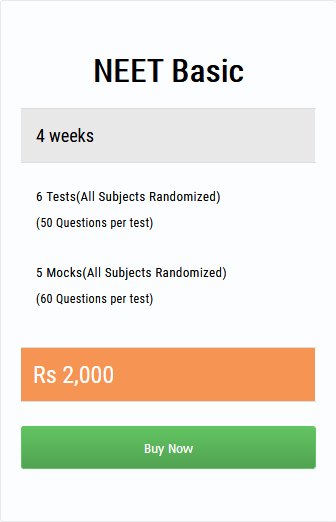 Online Examinations, Tests a Mocks offer the best-updated platforms for preparation and we recommend you to take these online Tests. Latest Strategy for NEET PG, DM and MCh Preparation.